Triglavians are becoming core to EVE Online game play and future features. Their technology maybe used to power the next stage of Upwell structures, FLEX. While a reddit post stated “Jump Gates & Cyno Beacons will now require abyssal drops“, reviewing the hoboleaks.space link, only Ansiblex Jump Gates currently require them (on SISI). Is this a leak of possible lore for the new structures? Component X, a module require to build the new Ansiblex Jump Gates takes materials from Abssyal Deadspace. The following chart is taken from the data collected by hoboleaks.space on SISI and is subject to change. The community is just now learning about Component X material requirements, but a vocal group has shown support for this “limit” factor to be added, as it will push more traffic through Abssyal Deadspace or keep the price of the Ansiblex Jump Gates high enough that Alliances would want to defend them. Ansiblex Jump Gates are planned to be limited to NullSec. Still some in the Eve community are pushing for even more restriction through ISK. Should Component X actually be a requirement in the final release, it would be poor of CCP not to wrap the lore of the new Ansiblex Jump Gates with the discovery of Triglavian technology. I think it would be amazing, and lend a hand in explaining why there is some many Precursor ship types compared to the other non-empire factions. My only hope is that the drop rate for those bits increases, since building abyssal related items require so much of the materials as it is. Also component X doesn’t require that much.. some people are just being drama queens about it. While I would have to agree the requirements for Component X aren’t crazy high, with 4 more ships requiring the same material it will increase the price. 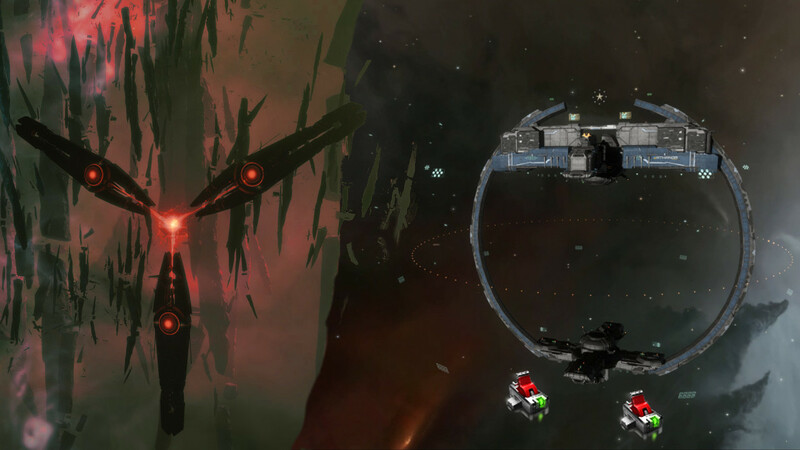 Are you excited to see this cross connection and CCP push more NullSec to PVE? After investigating more into the Hoboleaks data, a Community Reaction Section was added. Good post. I learn something new and challenging on blogs I stumbleupon every day. It will always be interesting to read through articles from other writers and practice something from their sites. Hello.This post was really remarkable, particularly because I was searching for thoughts on this issue last Monday. Aw, this was an exceptionally good post. Finding the time and actual effort to make a really good article… but what can I say… I hesitate a lot and don’t manage to get nearly anything done. Hello there, I found your blog by the use of Google even as searching for a related topic, your site came up, it appears to be like good. I have bookmarked it in my google bookmarks. Great web site you have got here.. It’s difficult to find high quality writing like yours nowadays. I truly appreciate people like you! Take care!! You actually make it appear so easy with your presentation but I in finding this matter to be actually something that I believe I would never understand. It seems too complicated and very huge for me. I am having a look ahead in your subsequent put up, I will attempt to get the hold of it! You actually make it appear really easy together with your presentation but I find this matter to be actually one thing that I believe I would by no means understand. It sort of feels too complex and very vast for me. I am having a look forward to your subsequent post, I¡¦ll try to get the hold of it! you are truly a good webmaster. The website loading speed is incredible. It sort of feels that you are doing any unique trick. Furthermore, The contents are masterpiece. you have done a magnificent process on this subject! I do trust all of the ideas you’ve presented for your post. They are really convincing and can certainly work. Nonetheless, the posts are very brief for starters. May just you please lengthen them a bit from next time? Thank you for the post. I’m seeking clothing as well as style ideas at a sensible costs for a female over 25 … Anyone know any type of excellent sites or blog sites?. Looks like whatever I discover is either geared toward teenagers or is hugely costly couture … Thanks!. Hi, I do believe this is an excellent website. I stumbledupon it 😉 I am going to revisit yet again since I book marked it. Money and freedom is the greatest way to change, may you be rich and continue to help others. excellent issues altogether, you simply won a new reader. What would you suggest about your publish that you just made a few days ago? Any positive? An outstanding share! I have just forwarded this onto a coworker who had been conducting a little research on this. And he actually ordered me breakfast due to the fact that I found it for him… lol. So let me reword this…. Thank YOU for the meal!! But yeah, thanx for spending the time to talk about this issue here on your site. I am very new to web design as I have no prior experience and also understand little HTML. I simply want to know what the most effective software is to acquire to make blogs. I have downloaded and install CS5 Style Premium with Dreamweaver and also Photoshop, however I realize this is a little sophisticated for me and expensive!!!. Does anyone have ideas of software program or methods to build blog sites as well as websites easily and economical?. THANKS!.